I offer professional, attentive, caring and thorough real estate service for all, whether it is first time buyers or boomers/seniors who are considering their housing solutions for the next chapter in their life. If you are thinking of selling and/or buying and feeling overwhelmed as to where to start and want to explore your options, I can help. 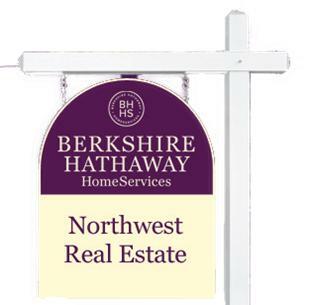 Lifelong resident of south Puget Sound area with 40 plus years of sales and marketing experience to expertly help you with all of your real estate needs. Seller and/or Buyer representation for condos, single family and vacant land for all Puget Sound areas. "Thank you for all the work and consulting you put into the sale of the house. Your staging touches really added to the house looking really nice and selling in one day." - Sharon & Bill S.
"You have been such a wonderful agent for us. You made us feel SOOOO much better with your wonderful communications and advice. - Anna M.
"I want to tell you how much I appreciate your help with selling my condo. You made the whole process stress-free during an extremely challenging time in my life. I consider myself fortunate to have had you as my Realtor. - Rachel B. "What can we say?" You went above and beyond. It will be my pleasure to spread the good news about your level of excellence." - Barbara & Norm J. "Thank you, Marilyn, for all you have done for me and my family. We could not have done it without you. You went the extra mile for us. Thanks with all my heart." - Brenda M.W. "We appreciate your caring, thoughtfullness and generosity. We are so glad you are the one we met. Please visit us any time." - Jack & Nadine S.
"Thank you for being so understanding and trusting, before, during and after the house purchase. I don't think I could have made it without you. You are wonderful." - Cindy McD.